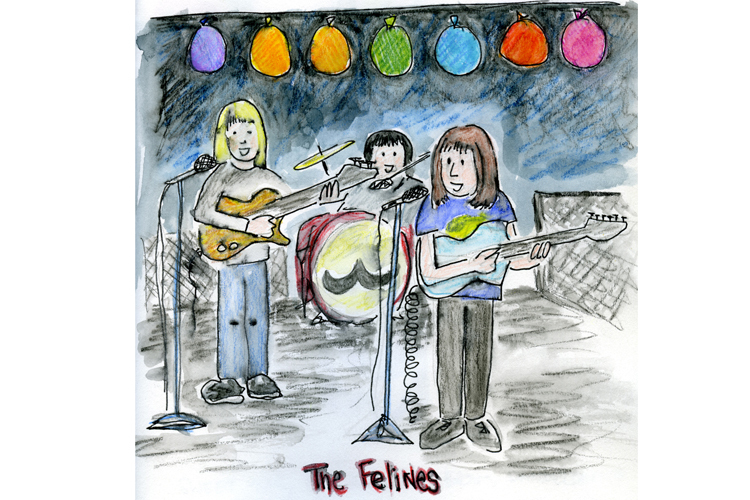 This was the first of my band drawings, the Felines are from Denmark and are incredibly drawable. The stars of the party! 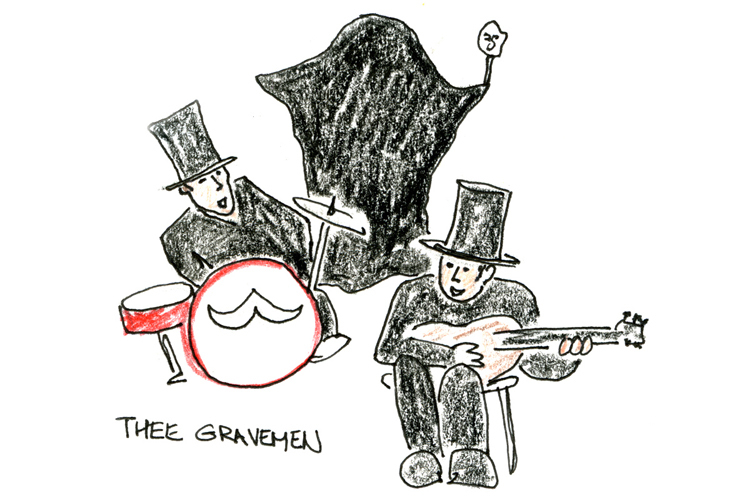 I think that thee Gravemen are from London (or thereabouts) they had a cool ghoul dancer. The Voladoras are from Sweden. 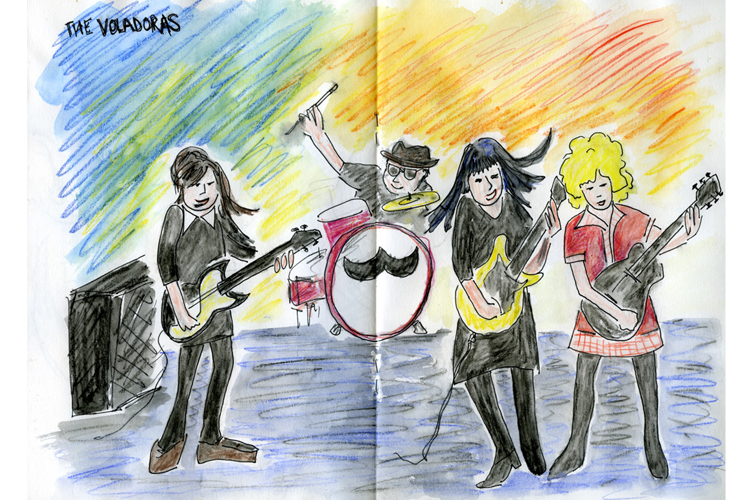 They have big hair, big shoes and big garage sound! I love them! The Munster Raving Loony Party is a fantastic fiesta of 60s garage music, held in a 70s style hotel in sunny Piñeda del Mar in Spain.